OSTEN is a Cultural Institution for Museum and Gallery activities from Skopje, Macedonia with a great tradition – it exists for 70 years now (established 1.1.1945). Dedicated of creating and preserving art on paper, OSTEN‘s main (but not limited to) interest is DRAWING in its widest interpretation. The drawing was evolving through the time parallel with the technology, so today, it can be almost everything the artists want to be – and we respect that! Thus, we encourage the participants to submit works with most creative and innovative ways of drawing’s interpretation. 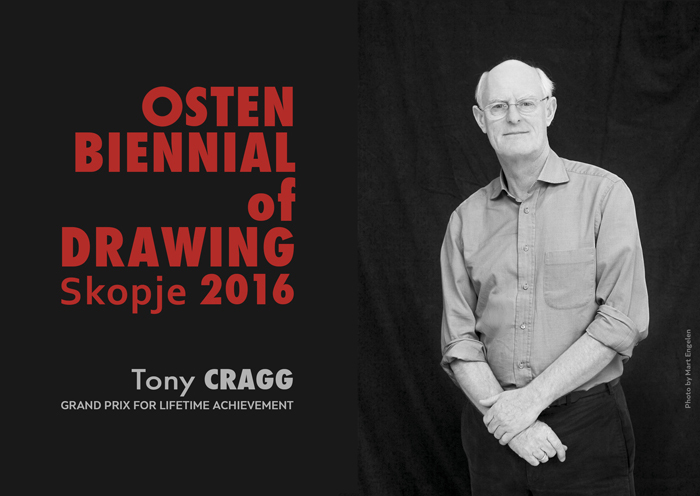 OSTEN BIENNIAL of DRAWING is one of the main activities of OSTEN. The Biennial of Drawing has double mission – to put together already established, celebrity artists and the new comers and to nurture and foster the drawing as a basis for every art creation. According to its statute, the advisory body of OSTEN – the Assembly of Ambassadors of OSTEN (consisting of artists, curators, cultural workers, intellectuals, art lovers etc.) decides for the MAIN AWARDS. GRAND PRIX for LIFETIME ACHIEVEMENT (to an artist who during his professional life has reached the peak of his work and has made a significant impact on world art). Henry Spencer Moore was born on July 30, 1898, in Castleford, Yorkshire. Despite an early desire to become a sculptor, Moore began his career as a teacher in Castleford. After military service in World War I he attended Leeds School of Art on an ex-serviceman’s grant. In 1921 he won a Royal Exhibition Scholarship to study sculpture at the Royal Academy of Art in London. Moore became interested in the Mexican, Egyptian, and African sculpture he saw at the British Museum. He was appointed Instructor of Sculpture at the Royal Academy in 1924, a post he held for the next seven years. A Royal Academy traveling scholarship allowed Moore to visit Italy in 1925; there he saw the frescoes of Giotto and Masaccio and the late sculpture of Michelangelo. Moore’s first solo show of sculpture was held at the Warren Gallery, London, in 1928. In the 1930s Moore was a member of Unit One, a group of advanced artists organized by Paul Nash, and was a close friend of Barbara Hepworth, Ben Nicholson, and the critic Herbert Read. From 1932 to 1939 he taught at the Chelsea School of Art. He was an important force in the English Surrealist movement, although he was not entirely committed to its doctrines; Moore participated in the International Surrealist Exhibition at the New Burlington Galleries, London, in 1936. In 1940 Moore was appointed an official war artist and was commissioned by the War Artists Advisory Committee to execute drawings of life in underground bomb shelters. From 1940 to 1943 the artist concentrated almost entirely on drawing. His first retrospective took place at Temple Newsam, Leeds, in 1941. In 1943 he received a commission from the Church of St. Matthew, Northampton, to carve a Madonna and Child; this sculpture was the first in an important series of family-group sculptures. 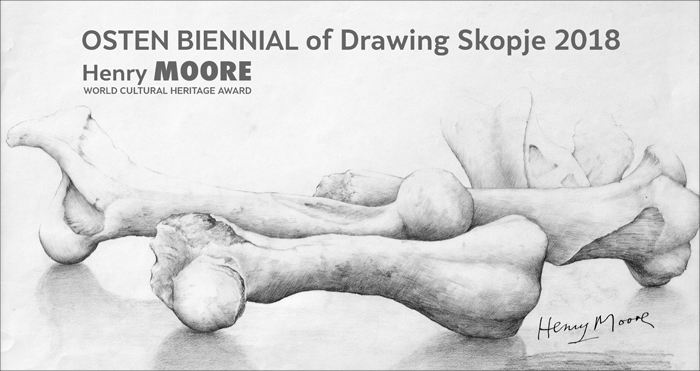 Moore was given his first major retrospective abroad by the Museum of Modern Art, New York, in 1946. He won the International Prize for Sculpture at the Venice Biennaleof 1948. Moore executed several important public commissions in the 1950s, among them Reclining Figure, 1956-58, for the UNESCO Building in Paris. In 1963 the artist was awarded the British Order of Merit. In 1978 an exhibition of his work organized by the Arts Council of Great Britain was held at the Serpentine in London, at which time he gave many of his sculptures to the Tate Gallery, London. Moore died in Much Hadham, Hertfordshire, on August 31, 1986. Pierre Soulages was born on December 24, 1919, in Rodez, in the south of France. As a child, he was fascinated by the Celtic carvings in the local museum and the architecture of the abbey of Sainte-Foy in nearby Conques, and these early impressions would continue to surface throughout his career. In 1938, inspired by the works of Paul Cézanne and Pablo Picasso, he enrolled in the Ecole nationale supérieure des beaux-arts, Paris, but he was disappointed by the traditional instruction and soon moved back to Rodez. 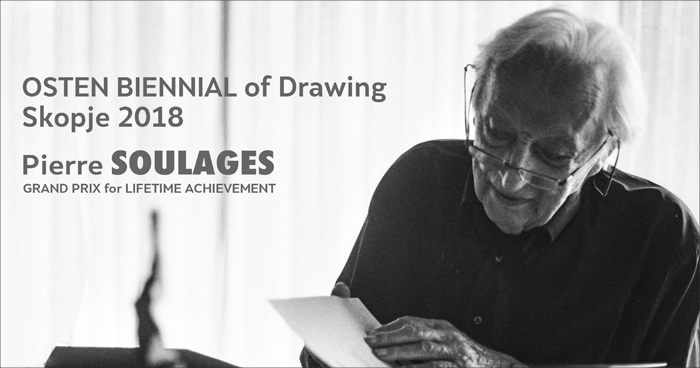 In 1946, having served in the military during World War II, Soulages returned to Paris and set up a small studio in Courbevoie. He began to paint in a wholly abstract style, producing canvases with overlapping black, barlike strokes on a glowing white, or sometimes colored, ground, which he exhibited at the Salon des Indépendants in 1947. Though his rejection of bright color in favor of black set him in opposition to the major trends in French abstract painting of the time, Soulages was nevertheless a prominent exemplar of the Jeune Ecole de Paris (Young School of Paris), an umbrella term for the gestural or post-Cubistabstraction produced by artists like Hans Hartung and Soulages. Though superficially similar to the work of Abstract Expressionist artists such as Franz Kline, Soulages’s paintings are very different in execution: in contrast to the gestural approach of his American counterparts, Soulages deliberately constructed his compositions to create a formal balance. Soulages generally titles each of his works Painting. He has exhibited widely since his first solo show at the Galerie Lydia Conti, Paris, in 1949. His first retrospective was presented at the Museum Folkwang, Essen, West Germany; Gemeente Museum, The Hague; and Kunsthaus Zürich, Zurich (1960-61), and his most recent took place at the Musée national d’art moderne, Centre Pompidou, Paris (2009-10). In 2001 Soulages was the first living artist to exhibit at the State Hermitage Museum, Saint Petersburg. He lives and works in Paris. 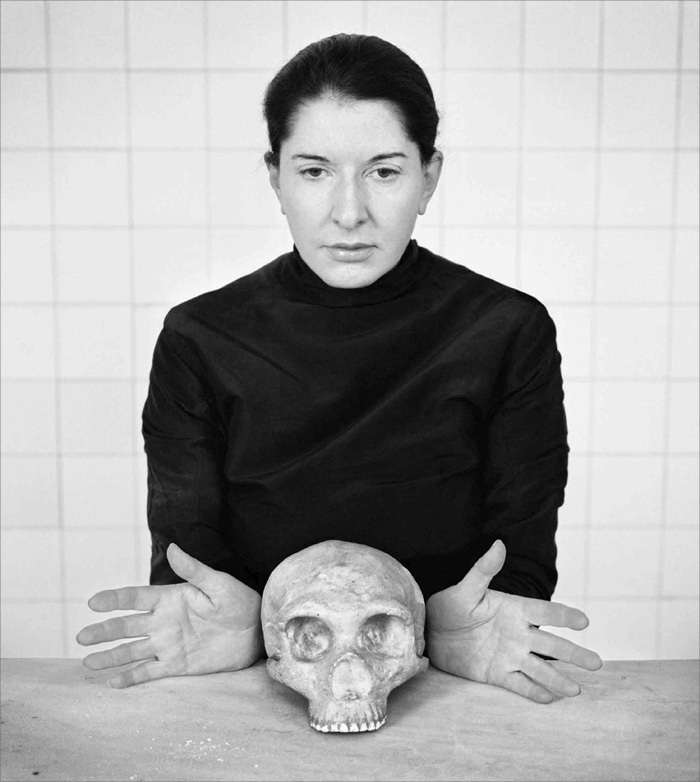 The holders of the main awards on the OSTEN BIENNIAL OF DRAWING are ones among the most famous artists of the world and they become the Ambassadors of OSTEN by default. They recognize OSTEN’s enthusiasm and dedication, and they are cooperating with us with a great pleasure.